At White Hat Construction, we believe “organization is the key to success” and follow a thorough process to ensure your new roof installation is completed in a timely and proper manner. Allowing you time to plan for your new roof. Reconfirming all aspects of the job before we begin to avoid last-minute conflicts and assure the job is completed on time. Providing a roofing contract for written confirmation of product and services to be provided. To make sure we deliver what you ask for. Allowing the job to start and proceed on schedule. Confirmation of high-quality, undamaged materials. 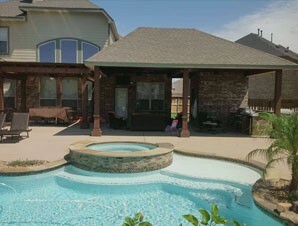 Shrubs and pools are covered to prevent damage. Chutes and tarps are installed to prevent exterior damage to your home. Allows for inspection and repair to roof deck. 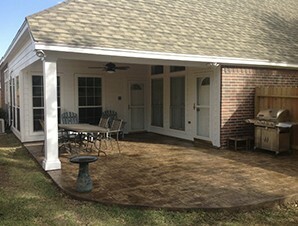 Any damaged decking will be replaced. Provides smooth roof deck upon which to apply the new roof. Provides extra protection at those areas of the roof which are most vulnerable to the elements. Provides an additional layer of water-shedding protection under the shingles. Minimizes any small irregularities in the thickness of your roof decking. Protects the roof edge from water penetration. Installation of flashing around chimneys and vertical wall joints helps prevent leakage at the most likely points of water penetration. Pitched roofs direct water to “valleys.” The valleys will be constructed to carry water away quickly and efficiently. Prevents moisture damage to your roof deck and house. Increases your home’s ability to efficiently expel heat from the attic, thereby increasing energy savings for homeowners. Insures compliance to building codes. Seals the first course of shingles down effectively; which is especially important in safeguarding the roof’s ability to withstand high winds. Provide long-lasting weather and fire protection for your home. Enhances the beauty of your home’s exterior. Provide the finishing touch to protect your roof lines, hips, and ridges. 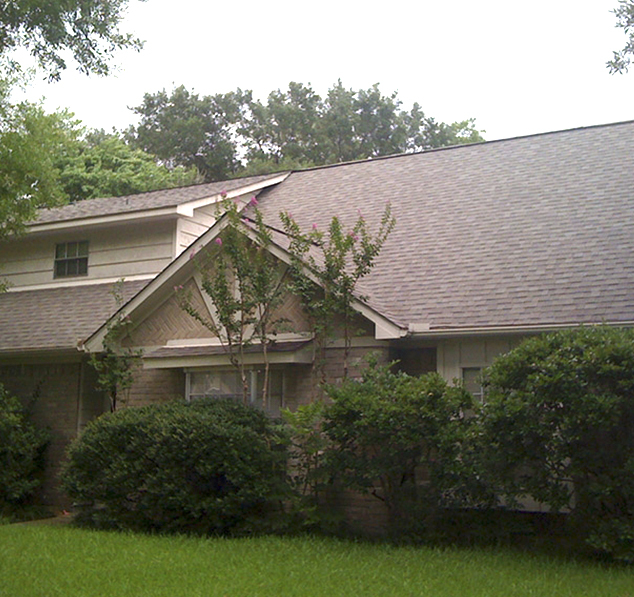 Re-roofing a home is a dirty and unsightly job. We take extra care to complete a thorough clean-up at job completion. Debris is removed from the roof and exterior areas of the home. Confirms the roof is installed properly. We conclude the work on your home with a final inspection of your home to assure that no litter is left behind on your roof, exterior home surfaces, or yard. We welcome open communication with our customers during this process. To contact a White Hat Construction staff member for any questions about your new roof, please click HERE. Say goodbye to algea, mold, dirt, and grime! You wash your dishes, your clothes, your car, and even your dog…but have you ever washed your roof? Our gentle cleansing process can make your roof look new again and increase the value of your home. 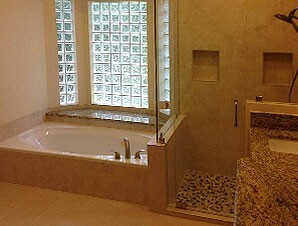 gentle cleansing can make to the appearance of your home! 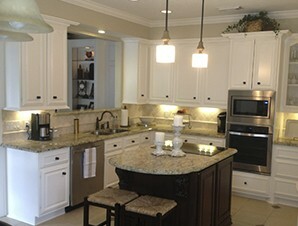 White Hat Construction can help increase the potential profit on your property by increasing the value of your home. A clean roof can help your property sell fast!